We still do not know the exact reason why World Wrestling Entertainment (WWE)superstars are leaving the company these days. The former member of Wyatt Family Luke Harper, has requested WWE to release him, as he wants to grow as a performer and person in future. Wrestlers react on Twitter for his shocking request. WWE RAW April 15, 2019 Results and Highlights: Smackdown’s AJ Styles Joins Roman Reigns and Seth Rollins for the 6-Man Tag Team Match in Superstar Shake-Up Night. 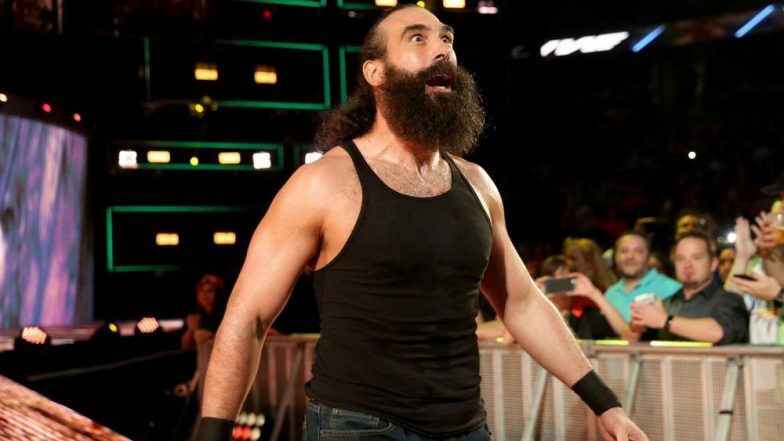 Luke Harper has asked for his release from WWE on April 16, 2019. Harper made a debut in WWE alongside Bray Wyatt and Erick Rowan, which ran a bizarre faction known as 'The Wyatt Family'. Harper has been associated with WWE since past 6 years. Jonathan Huber the real name of Luke Harper, was former WWE SmackDown Champion. He formed a tag team with Erick Rowan which was known as ‘The Bludgeon Brothers’. The Lunatic Fringe Dean Ambrose Exits WWE After Getting Assaulted by Bobby Lashley a Night After WrestleMania 35. We saw another WWE superstar Dean Ambrose appear last on RAW on April 8, 2019. Dean Ambrose farewell from WWE was very bad as he did not get the opportunity to fight for one last time due to an assault by Bobby Lashley. Zack Ryder says Thank You Luke!! The former Intercontinental champion Luke Harper was kept on the sideline due to wrist injury a few months back, however, he made a return at WrestleMania 35 to feature in Andre The Giant Battle Royal. His exit will indeed be a big loss for WWE.